Gorgeous custom home with many upgrades. 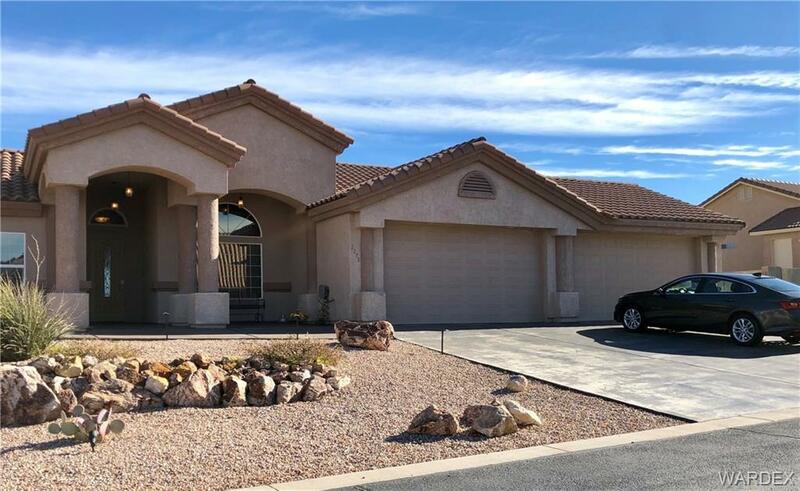 Crown moulding, low E Tinted windows and new coverings, 2 wall mounted TVs stay, patio TV stays, gourmet kitchen cabinets with pull outs, office/den/formal dining with huge safe that stays, large master suite with jetted tub and dual vanities. New side walks, steps, extended patio, large 10 x 20 utility/workshop building, insulated with loft, full RV hook up and parking, dusk to dawn lighting, all new gorgeous landscaping and one of the best views of the city lights and mountains in town!